in the last two parts of my Quattro review I've been talking about the origin story of how the Audi Quattro all wheel drive system came to be and the cars that the system famous the world over, this time for the final part of this review I'll the be talking about evolution and development of the Quattro system and the cars they were in. I won't be going into full details about each car that feautured Quattro because that would be extremely impossible becaue there so many well known and unforgettable Audi cars with Quattro built into them so i'll only be mentioning the first and last Audis to feature each generation Quattro all wheel drive system, plus there will links to a few videos that helped me with this entire review just to give them credit. so this is the final part of my Quattro review. now given the fact Audi so far has done many different versions of the Quattro system over the years it's gonna be quite a mouthful to explain all of them, providing if you guys have the patience for this sort of thing. the original Quattro system which was later put in passenger cars like the UrQuattro, the engine and transmission were placed in longitudinal position. Torque is sent through the transmission to the center differential which then distributes the torque the front and rear driven axles. four wheel drive was permanently active (my car the Audi 5k Quattro I beleive has this differential since it's a 1987 model, Audi would stop using it after that year). 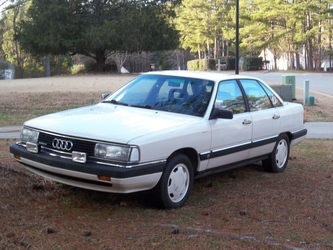 after 1987 Audi replaced the manual locking center differential with a Torsen Type 1 center differential (Torsen meaning torque sensing and T1 meaning Type 1). the Torsen T1 allowed engine torque to be automoatically directed to individual axles as driving conditions and tire grip warrented. under normal conditions (meaning when there is grip between both the front and rear and are equal) the torque is split between the front and rear wheels with default 50:50 distribution in many versions though not all of them. in adverse conditions (meaning when there is variation in grip between the front and rear), a maximum of 67-80% (and that's dpeending on the transmission or model of the Torsen diff) of engine torque can be can be directed to the front or rear axles. the automated mechanical nature of the Torsen T1 helps prevent wheel slippage from happening by delivering torque instantly (without any notice to the driver or passengers) to the axle which has more grip. this kind of operation can be described as proactive and furthermore unlike the various types of electronically operated differentials, the Torsen diff has no requirement for electronic data from sources like wheel speed sensors, it therefore has a failsafe element to it unlike other designs from other auto manufacturers should one of the wheel sensors develop a fault. in comaprison, viscious coupling or electronic controlled center differentials that are used in a variety of other four wheel drive systems are reactive since they only redirect torque after some wheel slippage has occured. the advantage is felt under hard acceleration especially while cornering, since the torque transfer between the front and rear axles is flawless thus maintaining stable driving dynamics and reducing the chance of losing control of the vehicle. the torsen based Quattro system can also offer an advantage in the opposite fuunction of distributing the torque to the wheels, specificly the engine braking. when you use engine braking to slow the car down with Torsen based systems, the resulting reverse torque loads on the front and rear axles are equally stabilized in the same kind of way engine propulsion torque is mechanically apportioned autmonously. this allows the spreading of the engine braking effect to all four wheels and tires. the Torsen based Quattro equipped vehicle is able to pull off a more stable high speed turn under deceleration with less risk of losing control of the car due to loss of tire grip in the front or rear axles. however this particulor configuration does have some limitations. with the engine and transmission in a longitudinal position the front axle is placed behind the engine which lead the criticsm that of some Audi cars being too nose heavy even though the system still leads to better weight distribution than a transverse mounted layout like in Mitsubishi Lan Evos and other similar cars, this allows for a better weight distidution of 55:45. ABS disabled when locked, automatically unlocks if speed exceeds 25 km/h (16 mph). Audi's new sport differential, debuted 'torque vectoring' to quattro generation V. The Audi sport differential allowed the dynamic allocation of torque across the rear axle of the debut vehicle: the B8 (2008) S4, and is now an optional addition to all quattro vehicles, which continue to use the 40:60 asymmetric Torsen (Type "C") centre differential. The sport differential replaces the normal open rear differential while the front axle still rely on an open differential with EDL. in 2016 Audi announced Audi Quattro with Ultra Technology, a front wheel drive biased system for use on platforms with longitudinally mounted engines, and shares much in common with their Haldex based systems. phew that was a lot to talk about but that was the story of analogy of the Audi Quattro all wheel drive system from start to finish. 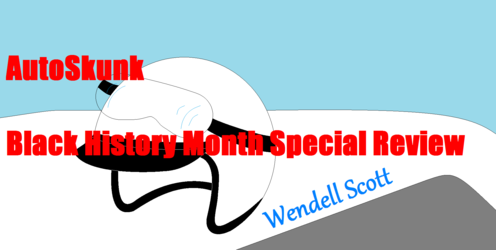 well I hope you guys enjoyed my first car review it is finally complete I will go on to something else now and what would that be?, well given it's February and given it's black history month I'm working on something special for my first driver review, I'll be reviewing the history of America's first African American driver, Wendell Scott.